Belgium’s Minister of Justice Koen Geens, has recently called for tougher measures to be implemented around online gambling advertisements and sports betting, after the Belgium Association of Gambling Operators (BAGO) recently published figures on the number of people using gambling sites in the country, which posed a big concern. According to various sources, the official report states that more than 15% of the Belgium population use internationally licensed gambling sites, and if the new restrictions are enforced, BAGO predict this percentage could easily rise towards 50%. Despite the fact that online gambling laws became closely regulated throughout the country in 2011, and later taxed under VAT laws in 2016 by the Belgium Finance Ministry – online gambling/TV advertising has still been recognized as an ongoing and contributing factor to the problem. 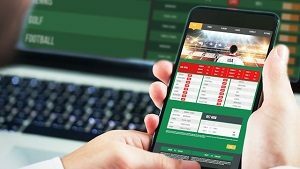 The Belgium government recently said in their November update, that a more “stringent advertising code” on gambling and sports betting verticals will be imposed, as well as directives for a much tougher digital framework towards online gambling operators; something which has been undergoing review in Parliament since last year. While many EU countries have already imposed tighter laws on gambling, Belgium have only now decided to follow suit, and give a new authoritative instruction to its ‘Belgium Gaming Act’. Once the new restrictions are officially passed, it is claimed that there will be an 8pm ban on sports betting advertising, and zero coverage permitted during live sport broadcasts. 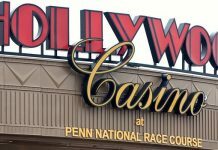 The government have also favored the prohibition of athletes and other celebrity bodies endorsing any kind of gambling advertising, products, or services. 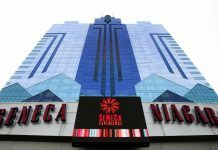 In addition to these restrictions, it is believed that more regulations will come in the future, and will eventually see licensed gambling sites having to significantly drop the maximum bonus they are allowed to offer to their players every month; with the maximum offering at approximately $308. Furthermore, there is said to be a complete ban on credit card deposits, as well as a weekly individual player cap on deposits – equating to around $560. Currently, there are around 165 blacklisted gaming operators on the Belgium Gaming Commission’s website, and the consequences for partaking in illegal online gambling can leave players facing a fine of up to €25,000. For the organizers, the penalty can be anything between €100-€100,000 euros (multiplied by surcharges). Earlier this year, the BGC investigated several video games including Fifa 18, Overwatch, Counter-Strike and Star Wars Battlefront II, after they were all said to be ‘violating official gambling legislation’ for offering loot boxes in their games; giving players the chance to unlock random rewards, with the possibility of exchanging them for real cash and monetary prizes. Even though both UK and USA ruled out that loot boxes do not compromise or pose any real problem towards their own gambling laws, Belgium’s unsettled attitude stems from the fear that it is still constitutes a “game of chance”. 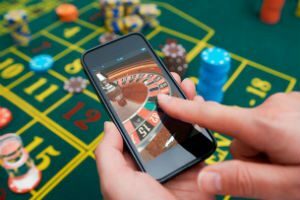 It could be encouraging minors to become more receptive to the idea of gambling, as well as have some dangerous effects on their mental health. The date for both proposed legislation to take effect is still unknown.